Most men are reluctant when it comes to caring for their skin. Skin care products should not only be for women but also for men. One key product that men should have is men’s aftershave. With the right balm, shaving can become a more pleasant experience. Men who are not using an aftershave are missing out the most essential part of shaving. Obviously, you need an excellent razor, a great shaving cream, and the best shaving brush in order to have the smoothest shave ever. However, you also need an aftershave to take care of skin problems like burns, razor cuts, and ingrown hairs. Men’s aftershave can be in the form of liquid, lotion or gel. Aftershaves can help in preventing infections from razor cuts while shaving. This is because aftershaves are comprised of an antiseptic element like an alcohol. Aside from its disinfection abilities, most modern aftershaves offer more features. Most modern aftershaves contain some kind of perfume. This is considered one of the most important elements of an aftershave. In fact, some aftershaves have fashion designers names such as Hugo Boss, Calvin Klein, and Tommy Hilfiger. Aftershaves also include a moisturizer which can soften the skin after shaving. Proraso men’s aftershaves are the best for hydration. It does not contain alcohol, parabens, silicons, mineral oil, and artificial colors. What it actually has are natural ingredients that are great for promoting healthy skin. It also contains witch hazel and eucalyptus which are great for reducing inflammation and clearing your pores from dirt and bacteria. Proraso is a trusted brand since the 1940s. Hence, this is something that you must try. This aftershave is designed for men who are prone to razor bumps while shaving. It can make your skin smoother and healthier. In just 48 hours, you can see its results already. This product is not only for men but also for women who like to shave their underarms, legs, and bikini line. It is suitable for all skin types. Razor bumps and ingrown hairs can sometimes result in irritation and skin redness. So, how can you solve this problem? All you need is Try Tend Skin Liquid. Just apply it twice a day, in the morning after shaving and in the evening before you go to sleep. Just make sure that the skin is dry before you apply it. Once you get the area wet, then you should let it dry and reapply it again. Every Man Jack Post Shave is light and non-greasy. It is best for a dry irritated skin. This lotion contains Menthyl and Chamomile that can soothe your skin. Also included is Shea Butter which can hydrate your skin. While Vitamin E can keep your skin protected all day long. It contains natural ingredients so it is very safe to use. This Tend Skin Solution can help is reducing ingrown hair after shaving or waxing. At the same time, it can prevent razor bumps and razor burn so you can enjoy a smoother skin without any irritation. This product is not only for men but also for women. Women can use it on their legs, underarms, bikini line, and any areas where razor bumps usually occur. Usually, a lot of people think that L’Oreal is a brand specifically designed for women. However, they are not aware that L’Oreal also makes great products for men too. And one of these products is this After Shave Balm. It can refresh and revitalize your skin since it contains Vitamin E and SPF 15. So, you can guarantee that you are always protected when you go out for the entire day. 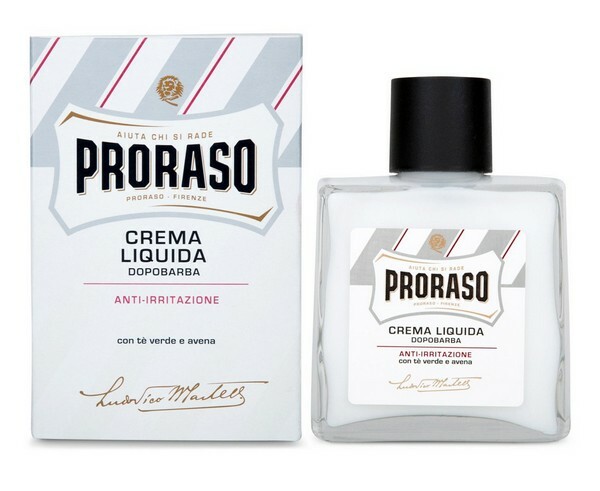 This Proraso’s Aftershave Lotion is formulated with fresh, natural ingredients. It contains eucalyptus oil that can tone and clean your skin and facial hair. It also has menthol which refreshes and revitalizes your skin. While witch hazel can help in reducing rashes and razor burns. Most of all, it has a pleasant smell that blends well with your cologne. This lotion can provide you a quick relief after shaving and it has a reasonable price too! The Bulldog Original Moisturizer can effectively hydrate your skin. It contains natural ingredients such as aloe vera, camelina oil, and green tea. These ingredients can effectively moisturize and soothe your skin. This product is specially designed for everyday use. Just apply it in the morning and at night, right after cleansing. This Cremo Post Shave Balm is a great soothing, moisturizing balm that includes cooling ingredients like menthol and tea tree oil. It can give you a clean and refreshing feeling. It uses natural ingredients and has a fresh fragrance. If you want something that is a bit different from the others, then you should try Lather & Wood After Shave Balm. This is much thicker compared to the other balms. Its texture is much the same as a body butter. Once you apply this balm, you will find that it does not feel sticky or heavy. Lather & Wood has a non-greasy formula. You can choose to buy the unscented one or the one with a sandalwood scent. It does not contain any alcohol. This post-shave healing balm can give you a quick, calming relief. Best for all skin types. It can effectively treat redness, razor bumps, razor burn, and irritations. This balm is composed of natural ingredients that can help in restoring your skin’s natural balance making it healthier. Unlike other aftershaves, this Caffeinated Aftershave is made only of natural and organic ingredients, so you can ensure that it is safe to use. It gives you an excellent glide, leaving your skin feeling moisturized and healthy. This product uses an effective formulation that can help in eliminating razor burns. Soothes your skin and help in reducing irritation and bumps. Best for men who have sensitive skin. Your search is over! Finally, it’s here! An aftershave that is created for sensitive skin. This aftershave balm is non-greasy and not expensive as well. It only proves that not all excellent grooming products are pricey. With the combination of witch hazel, chamomile, and vitamin E, you can enjoy a refreshing feeling after you shave. It can moisturize your skin and gives you a cooling sensation. Best of all, it includes antioxidant, anti-inflammatory, and anti-aging properties. This aftershave is specially formulated for your sensitive skin. It works by tightening your pores, leaving your skin feeling smooth and moisturized. Made only of natural ingredients to keep your skin feeling great after shaving. Water-based aftershave can effectively condition and soothe your skin, giving you a cool and refreshing feeling after shaving. Botanical formulation gives you a long-lasting skin protection. Great for those who have sensitive skin. With Adidas Dynamic Pulse Aftershave, you can always smell fresh and clean throughout the day. It has a combination of peppermint, aniseed and cedar leaves scents. Its masculine scent can keep you energized all day long, ready to face what the day brings. Aftershave lotions are mainly used by men after they are done with shaving. Generally, they include alcohol that can freshen up your skin. It works by closing pores in the skin so you can avoid any irritation or razor burn. They also have a moisturizer to keep your skin soft. Be sure to choose aftershave lotions that are safe to use and have suitable ingredients. Generally, lotions are a little thicker compared to splashes. Just like aftershave splashes, aftershave lotions also include alcohol but with a lower of a concentration. Hence, it’s only common that you can experience a bit of tingling sensation specifically if you obtained nicks while shaving. Aftershave splash is an antiseptic that has an enduring scent. Aftershave splashes are typically alcohol-based. Sometimes they can tighten your skin and keep them dry. Splashes can give you a more watery-feeling. Typically, it is a blend of toners, astringents, and hydrosols which can clean and give your skin an antiseptic or antibacterial protection. This is the best option for men who have oily skin. An aftershave splash gives you a potent stinging sensation most especially when it gets in contact with an open wound. Despite this, a lot of men still prefer to use an aftershave splash that contains an alcohol since they believe that the stinging sensation is a guarantee that it’s working effectively and cleanses the cut you obtained while shaving. Look for aftershave splashes that contain Witch Hazel and Aloe Vera since this can keep your skin clean and closes your pores. Additionally, you can enjoy having an even skin tone. Witch hazel is anti-inflammatory and is suitable for all types of surface cuts. It can soothe your wound instantly. Aloe vera can also give a certain level of soothing relief just like when you are having a sunburn. Aftershave balm is a hydrating lotion that has a cool scent. Usually, its scent will disappear soon after you apply it on your skin. Aftershave balms are ideal for men who have the tendency to dry out their skin after shaving. Balms are very easy to use. After you have finished shaving, dry your face with a towel. Apply a small amount of aftershave balm and lightly massage it into your skin. Balms feel heavier on your skin. However, they can give you more irritation relief. Also, they can moisturize your skin effectively, especially during cold or dry climates. Aftershave balms are a favorite by most men. Most often they do not contain any alcohol. Rather, its main intention is to moisturize and nourish your skin. Most balms include coconut, jojoba, and castor oils. These oils are quite popular since they are widely used by the beauty industry. An aftershave balm made that is made of natural ingredients will not give you any side effects. It can absorb into your skin quickly after initial application. Colognes are extremely different from aftershaves. Short for Eau de Cologne, colognes refer to any form of fragrance. The purest type of cologne includes 2% to 5% essential oils. With these oils, colognes are more suitable for men, however, most women also use it. Typically, colognes can make you smell nicer. It does not include any additional elements such as skin moisturizers and astringents. Some fragrances can last the whole day while some can wear off in less than a day. It greatly depends on the kind of cologne that you choose as well as its strength. What makes for a quality men’s aftershave? In choosing the best aftershaves, There are a variety of factors to consider. This includes its ingredients, and how they feel on your skin. Most importantly, be sure that it works effectively. Do a lot of research in order to uncover the best aftershave. Aftershaves can save you from razor burns.